Should you say "stop" to Pokémon Go for the sake of your relationship? Pokémon Go has quickly become nothing short of a cultural phenomenon. With so many players and an incredible amount of media hype in a culture arguably already electronically obsessed, many are concerned about how this augmented reality game could affect relationships. Pokémon Go is reaching sensational heights as millions catch “pocket monsters” with their smartphones. When the game first dropped I was with the “Who cares? It’s just another silly game” crowd. But by day 4, I surrendered my “too cool” card and downloaded the app at 10 PM, curious to know what had everyone so enthralled with this game I had buried somewhere in my childhood. My husband was days ahead of me in the game and still delighted to have me join the ranks. We wandered our neighborhood for over an hour collecting digital items at PokéStops and capturing the colorful monsters from my childhood. Asking my husband about the names and details of Pokémon creatures I only vaguely remember hearkened back to quizzing my younger brother almost two decades ago. I remember that he had a small collection of trading cards. I loved the Charmander which was not coincidentally the first pocket monster to make it into my “Pokédex” (the game’s archive of discovered Pokémon). Like many others, I was suddenly hooked. Pokémon Go: Danger or Inspiration? On the other hand, plenty of people (and news outlets) are also saying that the game has made getting outside and being active more appealing, fun, and frequent. It pushes players outdoors to notice details about their locale that otherwise may have been overlooked. 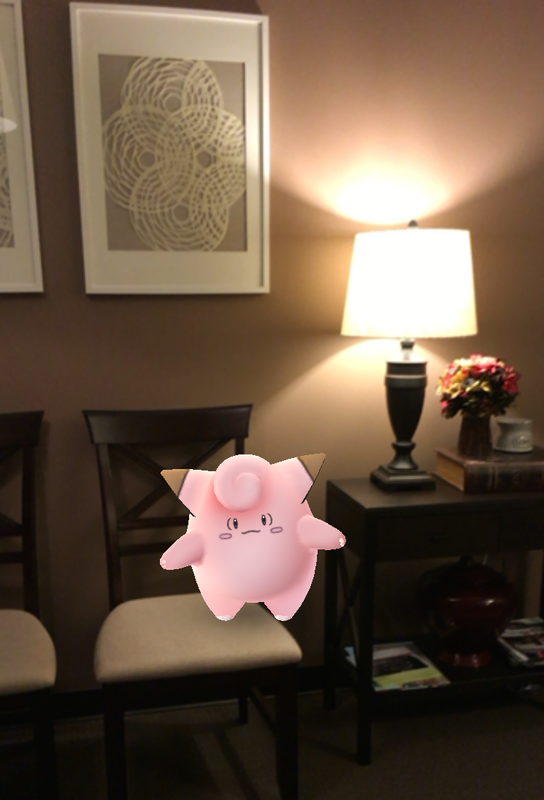 There is even talk of it being helpful for those with mental health issues like depression and anxiety because it encourages them to go outside to get much-needed sunshine and exercise, not to mention it’s pretty easy to start a conversation with other players who are apparently hanging around a painted electrical box or neighborhood mural to get a PokéBall refill. One woman credits the game with making it easier for her son who has autism to interact with others. 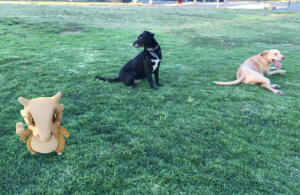 Animal shelters are targeting Pokemon Go players to play the game while walking shelter dogs — earning the distance needed to “hatch eggs” within the app and giving society’s neglected pups some much-needed exercise. In some cases, the game is inspiring park clean up and the rescue of abandoned or injured animals. And perhaps the most obvious draw to those who play it: the game is fun. Unfortunately, the game isn’t all romantic, nostalgic adventures. One married couple from Alabama, Haley and Brent, tried out a “Pokémon date” but found they didn’t enjoy playing it together. Haley says that she and her husband have decided to play independently. Brent now advises that other couples “set boundaries” around game-play expectations, especially when it comes to safety and driving. In spite of this hefty criticism, some couples are saying that they enjoy it as a means to get “off the couch and out walking around meeting people and playing the game.” Jennifer from Michigan adds that it has her getting out with her dog more, too. Other couples echo the same. Chloe, a San Diego local, said of herself and her boyfriend, “We went on a day trip last Saturday, just walking around our neighborhood… [we] walked 3 miles that day. [I} had a great time with my favorite person. What’s not to love?” Indeed, even couples who have a non-playing partner are still finding ways to use the game for quality time. Some couples find that playing Pokémon Go is something fun to do together. Here are my dogs with a Cubone that my husband and I found at the park. Some find that the pros and cons are not mutually exclusive. San Francisco resident Nicole calls Pokémon Go “a giant waste of time. People should be looking at their partner, not their phones when they are together. Couples should be trying to capture the love of each other, not a Pikachu.” Still, even though she doesn’t play, Nicole sees the value in “finding joint excitement in getting out of the house together and experiencing new places.” On top of which, she mentions that her son is “super excited about playing with daddy.” With so many players, it is no surprise that there are differing opinions about how Pokémon Go affects relationships. Whether you are pro, against, unsure, or ambivalent about it, Pokémon Go or any game like it should not ruin your relationship. 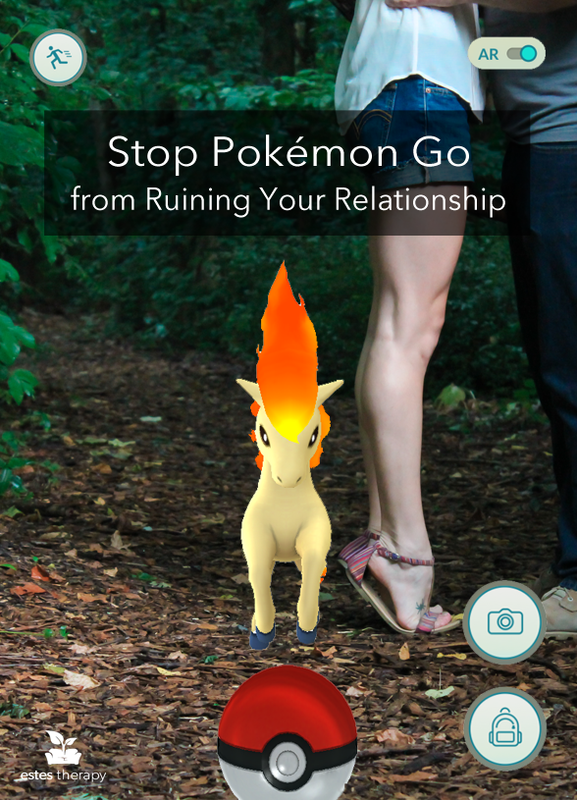 If you are concerned about Pokémon Go harming your relationship, there are practical ways to manage negative effects. Does your relationship need some Pokémon Go boundaries? 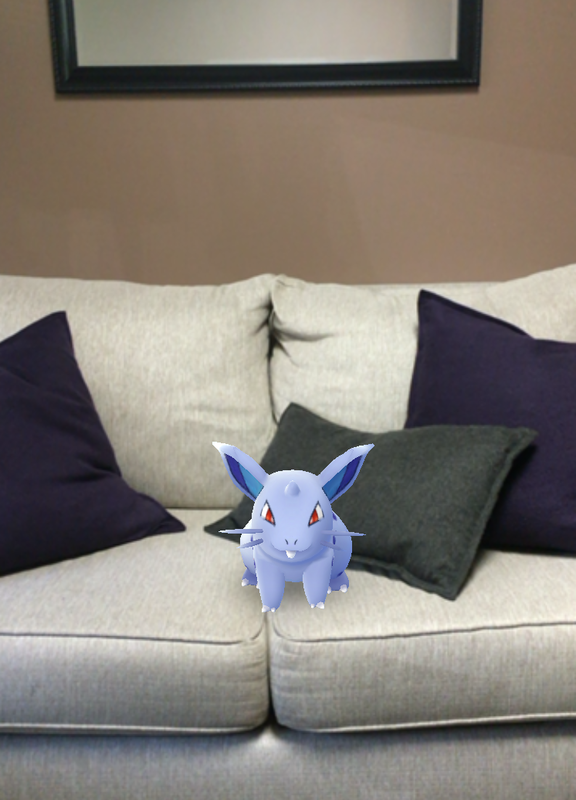 This Nidoran showed up at our San Diego counseling office for some #TherapyWithPokemon. The first thing Pokémon Go players should be doing is practicing awareness of themselves, their surroundings, and their relationships. Consider the effects of what you are doing on those around you. Personal responsibility plays a significant part in reducing the risks associated with the attention-consuming game as well as how it impacts a relationship. This responsibility falls not only to those who play but also to partners who are concerned about negative effects. Some of those little monsters have some anger issues and could benefit from a little counseling. If you tend to get swept away in games with competitive anger or even simple distraction, be sure to listen when your partner lets you know. Share your concerns with your partner by pulling him or her aside to say you’ve realized that a cultural phenomenon like Pokémon Go can sweep everyone into the hype and you would like to chat about the best way to protect your connection from any negative effects. Take a light and open tone and keep the focus on how much you care about your relationship. If you have children, it may be especially important to have “the Pokémon talk.” The nostalgia of a 90s game brought into the present provides a unique bridge between generations. Some parents have decided to include/join their children in the hunt while others cite safety concerns or are afraid the game will distract from their kids. Ultimately, a good co-parenting strategy is to get on the same page about how the game interacts with your family dynamic. Talk about ways to make your relationship feel like the priority, while allowing the game to be enjoyed in reasonable quantities of time. These boundaries may look like only playing on certain days of the week. For others, the emphasis may be on playing during independent downtime. Communication, as always, is key. If one of you plays and the other doesn’t, it is important that the Pokémon Trainer makes the effort to connect with the non-playing partner. Additionally, the non-player should clearly express what they need in order to feel connected. If you play together but are concerned about it taking up too much time (or too much money, if you make in-app purchases), discuss what feels like a healthy balance for your lifestyle. Certainly the game can support healthy activity if you’re getting out more, but having a good connection in your relationship is also essential for an overall healthy lifestyle. As the saying goes, to each their own. Every couple will have to decide for themselves how to prioritize individual needs while protecting their connection. As for me, this isn’t the first game to have had me wax nostalgic with my husband (shout out to Wii Mario Kart)). However, it is the first app to facilitate small talk with strangers whom I would have passed by otherwise. Given the typical isolation of most modern lifestyles, this uncanny invitation to find even something trivial to build an interactive bridge with others is a welcome one. I’m personally looking forward to hearing about a marriage that owes its origins to a showdown at a PokéGym. If you and your partner find that boundaries and connection are routinely hard to come by (Pokémon Go related or not), it may be time to consider relationship therapy. Estes Therapy offers couples counseling in San Diego. Jennine Estes and her team focus on restoring and maintaining connection in relationships and are available by appointment. Are Your In-Laws Driving You Crazy?